The first part of the Casio Press Conference was presented by the CEO and President Kazuo Kashio. He spoke about a new digital art frame that creates paintings from digital photos. It does so by applying filters like pastel, watercolor, graphic oil, and airbrush to the photos in the frame. While the digital art frame idea seems interesting, I found it to be incredibly unattractive. To put it simply, the photo frames apply filters commonly found in photo editing programs like Adobe Photoshop to photos. The result is less than impressive; it looks like a computer-processed drawing and far from the hand-drawn look Casio was aiming for. As if the gaudy pictures weren’t enough, Homlish introduced another feature – animated overlays. 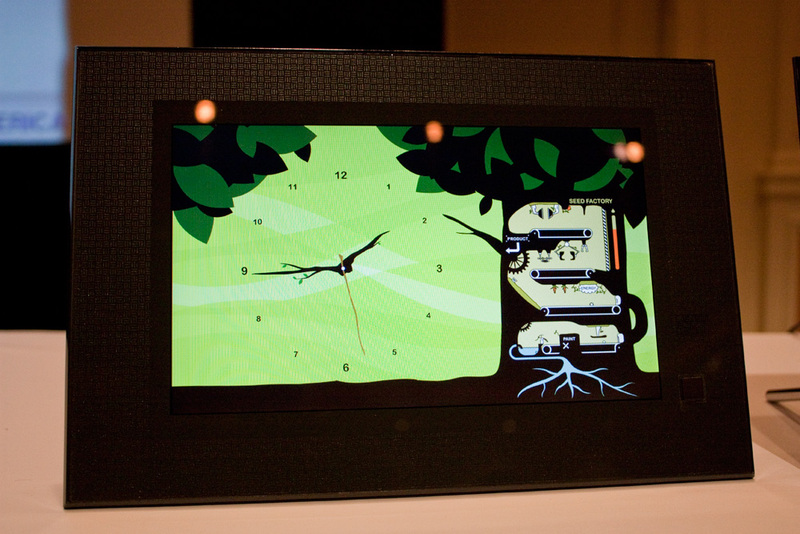 That means you can put animated pictures, for example a flying butterfly, on top of your “art”. 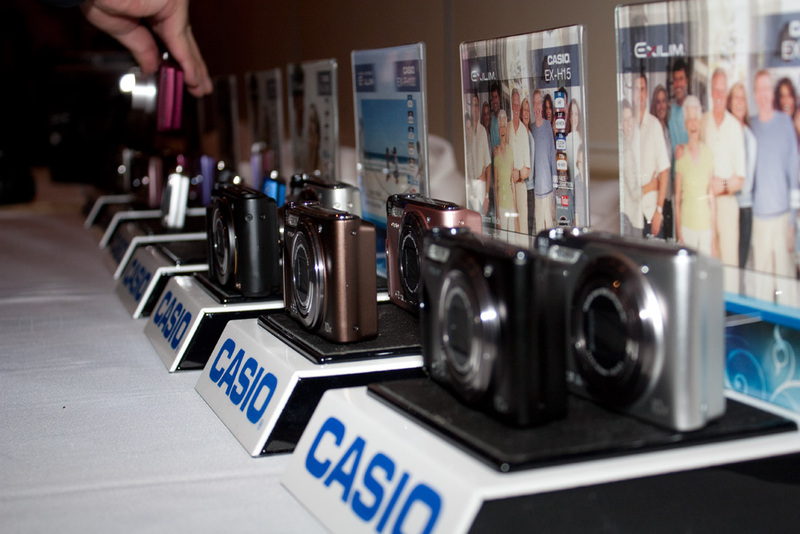 The new Casio Exilim Camera series combines high speed motion capture and high power zoom in a compact camera body. John Homlish, Executive Vice President of Casio’s marketing department, explained that Exilim will allow consumers to take advantage of features boasted by top-of-the-line DSLR cameras without the hassle of a carrying around a large camera. The results were quite astounding. I found it hard to believe that a camera of that size produced the obligatory ultra slow-motion balloon pop. 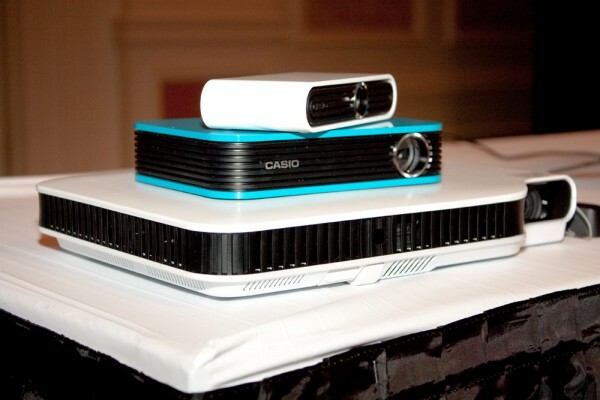 Casio also introduced a new series of compact, environmentally friendly projectors. 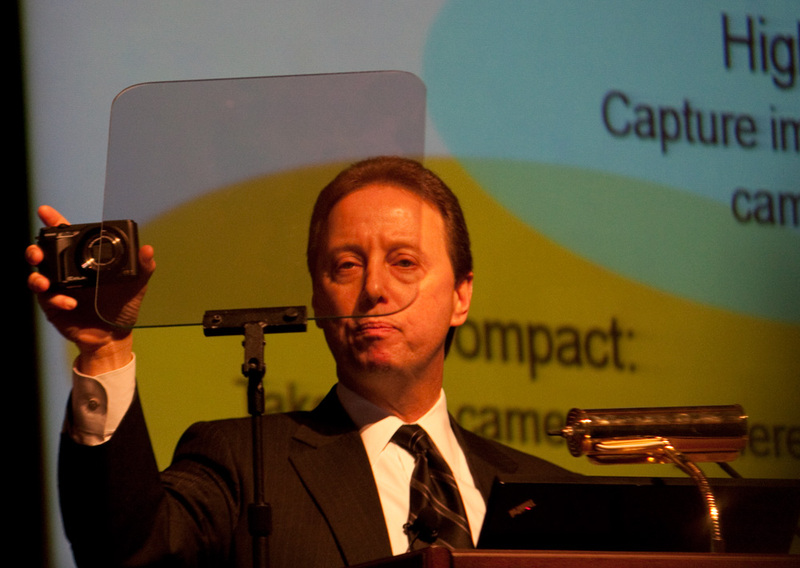 These projectors are 1.5 inches thick and the size of a standard sheet of letter-sized paper, and weigh less than 5 pounds. Through the use of hybrid laser/led projection technology, the projector puts out up to 3000 lumens with improved clarity and color. What makes it environmentally friendly is the lack of a compressed mercury bulb. On top of that, the projector takes less power to run and without the need to replace a bulb or filter. The laser/led hybrid technology has an extended life; over 20,000 hours. That’s 7 years if you run the projector for 8 hours everyday. A pocket-sized projector featuring the same technology is also in development and may be available later this year.